Centuries from now, when the only beings roaming the scorched earth are heavily irradiated ghouls and super mutants, all great literature, music, and art will be lost but somewhere a gaggle of radroaches will be gathered around a TV watching reruns of HGTV’s House Hunters. The Washington Post’s Drew Harwell takes a thorough look at how the 17-year-old show continues to dominate the real estate-related airwaves, in spite of the fact that it’s a paint-by-numbers process that everyone now knows is bordering on fiction. You hear of interrogators using repetitive sounds and images to break subjects down, but the more that HGTV pumps House Hunters onto the air, the more people lap it up. According to the post, the network aired 447 episodes in 2015 alone, more than double the number of episodes it aired only five years ago. In fact, it’s been hovering around the 400 episodes/year mark since 2012. As anyone who has ever fallen into an “HH hole” — only to come to several hours later, wondering why you haven’t eaten all day and suddenly wishing you had more stainless steel appliances — knows, HGTV loves to run the show in multi-hour marathons, with each episode seamlessly transitioning into the next one without that usual between-show ad break that serves to wake you from your TV coma. While House Hunters might not pause between shows, there are plenty of opportunities to make ad money during each of those episodes. If you see that the real estate agent is driving the buyers around in a GMC Denali, it’s not because you have a keen eye for automotive brands. It’s because the carmaker paid for it. If you see the buyers talk about their need for disposable utensils, it’s not because the buyer really has a hatred for doing dishes. It’s because Chinet paid to have their products mentioned. That’s not to mention all the ways that HGTV can license in-show content for use by advertisers during ad breaks. House Hunters might try to shake things up with the International episodes, or throwing in the occasional rental tenant, but for nearly two decades the formula has remained the same. Three properties are shown. The buyers bicker over, and complain about things that can be easily changed (paint, carpet) or have nothing to do with what they’re buying (the current owner’s furniture). They pretend to be conflicted about the process, even though their decision has already been made and the other two houses they look at aren’t even necessarily on the market. Why it works is because we often go through the same inane process at home. Just as the buyers are wincing at the laminate counters, we’re saying to ourselves (or anyone who will listen), “I think my grandpa had those counters in the retirement home.” And, like the buyers, our eyes bulge when the camera leads us into a room painted bright pink with orange carpet. 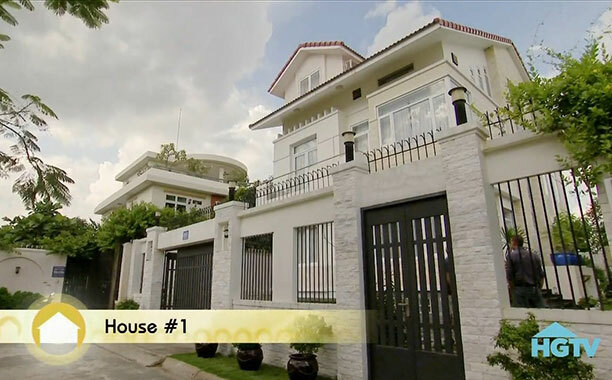 We know exactly what we’re getting with each episode of House Hunters, but it changes just enough with each airing that it’s enough to keep viewers interested for another 30 minutes. It’s like the potato chip of TV shows — you know it’s not good for you and you should stop, but it tastes okay and you’re not full yet.